Grand Banks Yachts began its journey in 1956 as American Marine, Ltd. Founder Robert J. Newton and his sons, John and Whit, were running a custom boatyard on Junk Bay in Hong Kong, building heavy sailboats and big motor yachts to designs by the world’s top marine architects – Sparkman & Stephens, William Garden, Nat Herreshoff, Ray Hunt and others. Today, this design is recognized around the world as the Grand Banks Heritage Series, an iconic design built first of wood and then, beginning in 1973, of fiberglass at a new factory in Singapore. 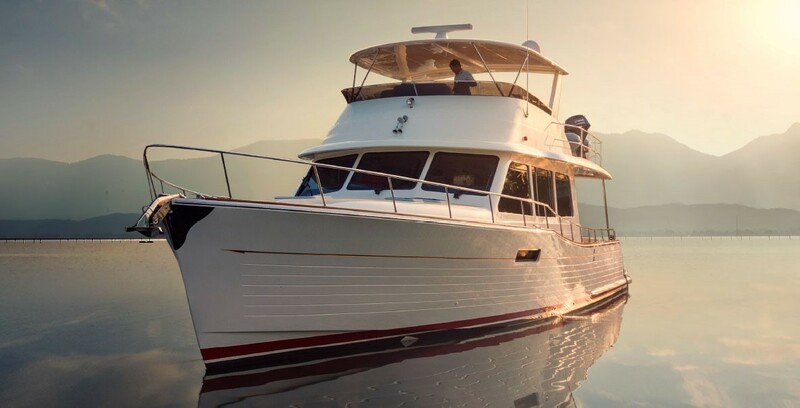 Today, Grand Banks offers a choice of models in three distinctive series: The Heritage Series of iconic trawler-style yachts; the Eastbay Series of Down East cruisers; and the Aleutian Series of bluewater raised- pilothouse yachts. Buying a Grand Banks: We offer used Grand Banks Yachts for sale worldwide, including Grand Banks Eastbay, Grand Banks Aleutian, Grand Banks Heritage models and more! Contact our sales professionals for immediate assistance. Selling Your Grand Banks: With a team of experienced yacht brokers and marketing professionals, we will employ a comprehensive marketing approach to ensure your vessel receives maximum global exposure online as well as exposure in person at major boat shows. Learn more about how SYS Yacht Sales will help to sell your Grand Banks yacht!